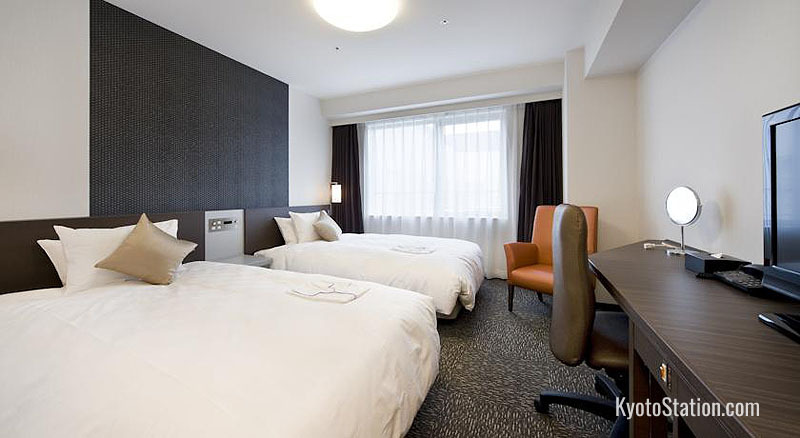 Daiwa Roynet hotels are an upscale chain of business hotels that offer their guests both comfortable accommodation and consistently excellent service. The Kyoto-Hachijoguchi branch of this chain is very well placed for Kyoto Station, being only an eight minute walk from the southern Hachijoguchi Exit. The south side of the station is especially convenient for travelers using Kintetsu Railways, shinkansen bullet trains, or shuttle bus services for Kansai International Aiport and Osaka Itami Airport. For business travelers Kyoto Terrsa conference center is only a short walk away, and sightseers will be glad to know that UNESCO World Heritage Site Toji Temple is also nearby. 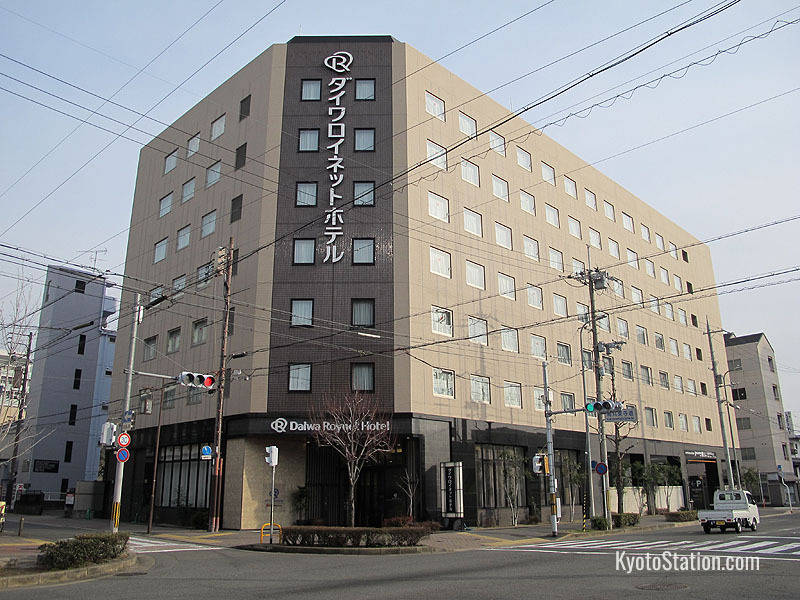 However, those travelers who would prefer to stay in Kyoto city center, might be interested to know that there is another branch of this chain, which is very centrally located, called Daiwa Roynet Kyoto-ShijoKarasuma. Both hotels were awarded a Certificate of Excellence by TripAdvisor in 2015. Among the 192 guest rooms, single rooms, double rooms, twin rooms, deluxe twin rooms and “universal rooms” are all available. Universal rooms are wheelchair accessible, and being more spacious can take two or three guests. All rooms have air conditioning, a humidifier, high speed internet, free Wi-Fi and LAN cable connections, LCD TVs with free satellite broadcasting and pay per view video on demand, a refrigerator, a trouser press, an electric kettle, and nightwear. In the bathroom you will find a bathtub with shower attachment, a bidet toilet, a hair dryer and a full set of complimentary toiletries. You can book smoking or non-smoking rooms according to your need. 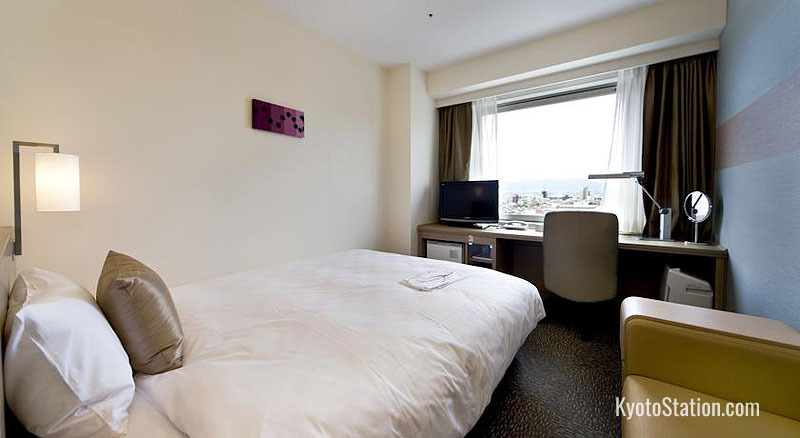 The Daiwa Roynet Hotel also has special Ladies’ Rooms for the exclusive use of female guests. These come supplied with special amenities such as full length mirrors, foot massage machines, and ion facial steamers. The bathrooms for these rooms are supplied with Mikimoto brand shampoo and conditioner, and Yakult brand skincare products. A buffet style breakfast is served between 6:30 and 10:00 am (with last orders at 9:45), for a surcharge of 1030 yen or 520 yen for children between 3 and 12 years old. Both Western and Japanese style dishes are included in the buffet, but there is a heavy emphasis on local ingredients such as freshly made tofu, Kyoto vegetables, and Kyoto’s specialty obanzai style side dishes. 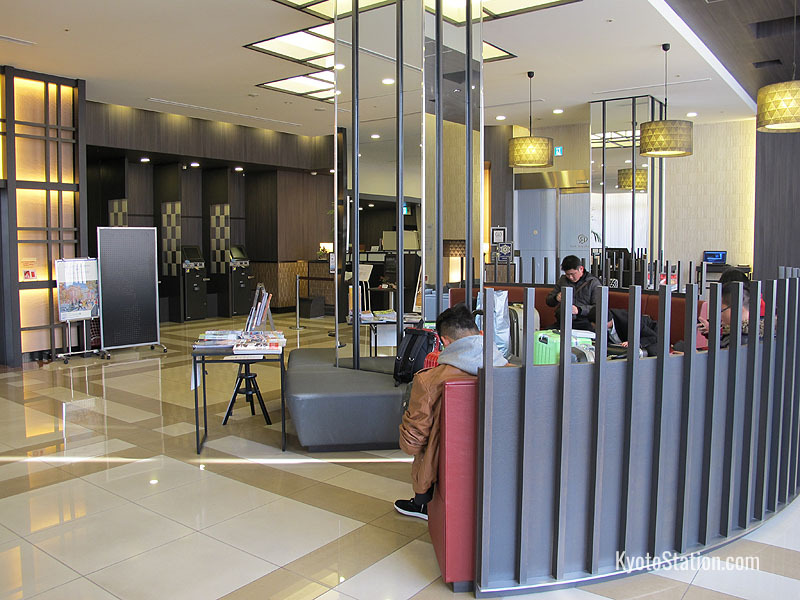 There is a computer, ink-jet printer and photocopier available for general use in the lobby, and laptop computers can also be rented for 800 yen a night. As there are a limited number of rental computers available, it is a good idea to rent them in advance. If you need refreshments the hotel has vending machines with soft drinks and alcoholic beverages and also an ice-making machine. The hotel also has a 24 hour coin operated laundry with both washers and dryers. The machines take 100 yen coins and automatically dispense washing powder. If you don’t have the right change for these machines, you can use the change machine in the lobby. Wheelchairs can be borrowed from the front desk, but are limited in number, so it is a good idea to book them in advance. Parking space is available for 24 cars at 1500 yen per night. If the hotel parking lot is full, there is another affiliated parking lot just 5 minutes walk away. The Daiwa Roynet group of hotels place a heavy emphasis on cleanliness, hospitality and security. For the sake of the guests’ peace of mind, the main entrance of the hotel is locked at midnight until 6:00 am the following morning. However, guests can use their room key cards to reenter the building during these hours.